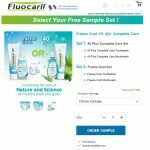 HomeCosmetic & ToiletriesFREE 20 sets of “Restore Shampoo for Dogs & Odorgone for Dogs” from HALO Pets Product Giveaway! 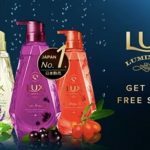 Dinasou Online Supermart Malaysia is giving away FREE 20 sets of “Restore Shampoo for Dogs & Odorgone for Dogs” from HALO Pets Product! 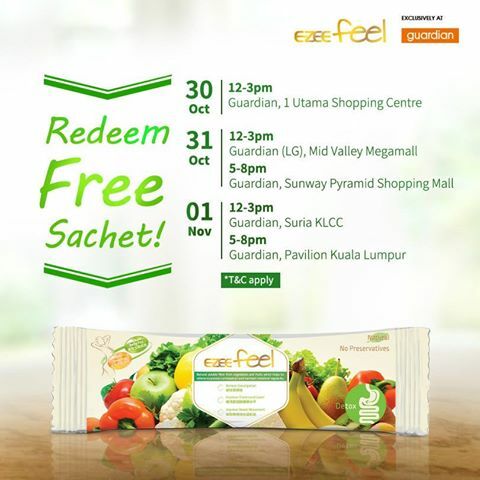 As a member, and pay the RM10.50 for shipping fee, you may redeem now! Term & Conditions apply! 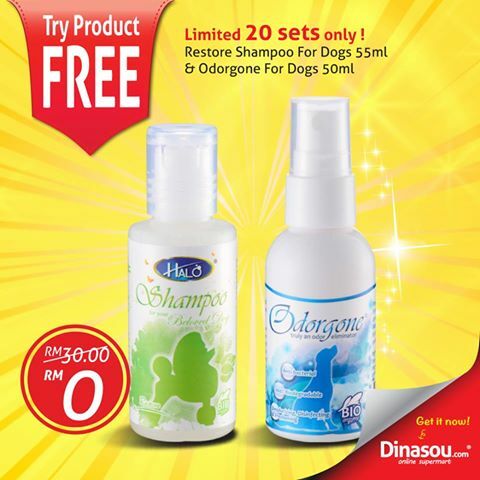 Restore Shampoo for Dogs 55ml worth RM 15 & Odorgone for Dogs 50ml worth RM 15. HALO® Restore Shampoo is the latest breakthrough formula of HALO® that gives your beloved pet a healthier skin! 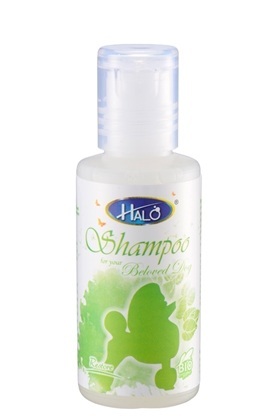 HALO® Restore is a unique blend of natural enzymes dog shampoo that is coupled with the full goodness of betel leaf to promote holistic well-being for your beloved pet. 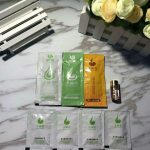 Uses extracts from betel leaf which has natural antiseptic, anti-inflammatory and odor-removing capabilities that restores your pet’s natural skin. 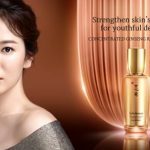 Betel leaf also has analgesic and cooling attributes that eases irritations by soothing inflammation from bites and rashes. Restore your pet’s natural skin with HALO® Restore Shampoo. 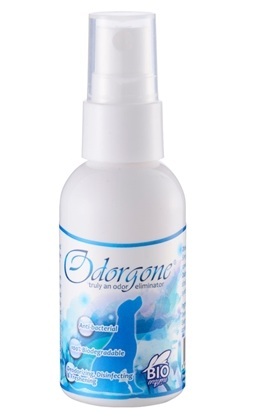 Odorgone® effectively disinfects and eliminates obnoxious odors by inhibiting bacterial growth and neutralizing stench within minutes. 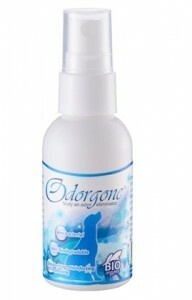 Odorgone® for dogs is an eco-friendly product that uses a unique blend of natural enzymes coupled with full goodness of pure essential oils that effectively eliminates odor and disinfects the environment by inhibiting growth of bacteria organically. With all-natural enzymes as the main ingredients, it is safe for use in your home for you and your pets. 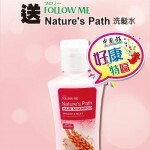 FREE Follow Me Nature’s Path hair shampoo (60ml) Giveaway! FREE Freshkon Car Organizer Giveaway! 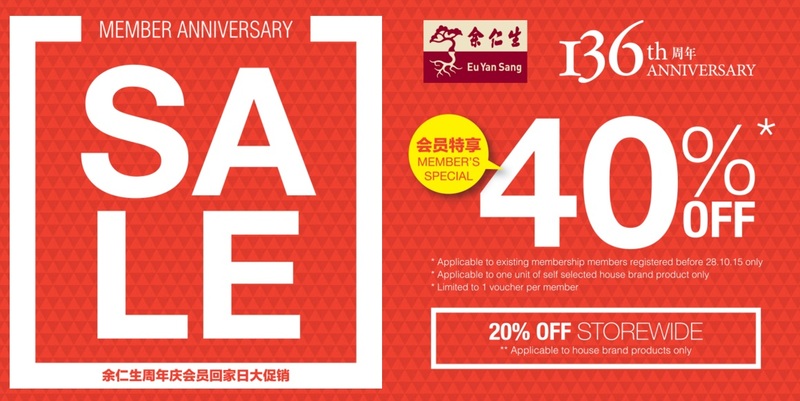 Eu Yan Sang Member 136th Anniversary Sale is back!